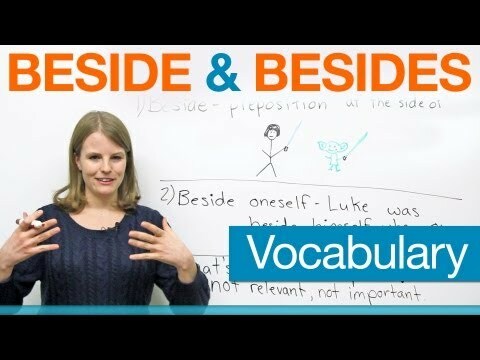 What is the difference between "beside" and "besides"? In this English class, I will teach you the different meanings of these words, how to use them in sentences and in some common expressions. This video will help you to improve your vocabulary and grammar. Besides, you will be beside yourself with excitement after watching it!